Otters notice butterfly the first time, but their response has me crying with laughter… Hahahaha!! I’ve NEVER seen otters doing anything like this before… I usually imagine them swimming or hanging out, but otters are actually surprisingly playful and when they notice a fluttering butterfly in the sky, their reaction is HILARIOUS! Otters eat fish, not butterflies, so the only thing we can think is that these otters hadn’t ever seen something like this and were having the time of their lives playing a chasing game! – Watching this is just TOO funny, haha!! 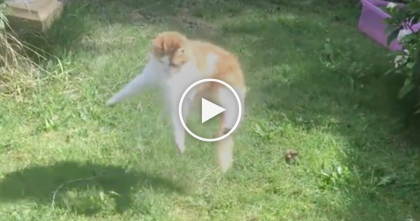 I’m SOO glad someone recorded this, it just cracks me up, LOL… Just watch the video! 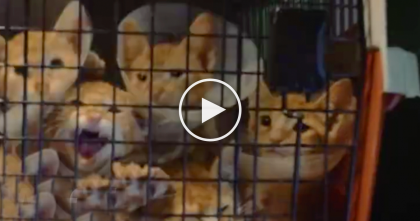 Cats Face Death Row, But When You See What They’re Doing Now… It’s Amazing, Just Watch. 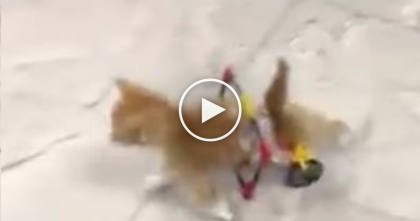 Rescue Kitten Discovers His Wheelchair For The First Time, Just WATCH His Response… Priceless!! 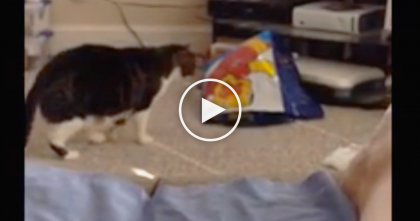 Cat Walks Over To Check Out A Bag, But When He Discovers What’s Inside… It’s Just Too Funny, LOL!! 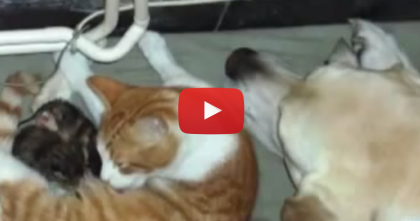 This Dog Notices A Cat Giving Birth, I’m Amazed At What He Did Next… WOW.